The Discovery Network has signed Ludacris and Tommy Lee, former drummer in Motley Crue, for a new Planet Green show called "Battleground Earth." The ten-episode series will premiere in July or August. Planet Green debuts in 50 million homes on June 4. In "Battleground," Ludacris, left, and Tommy Lee, right, will cross the country competing in various challenges designed to highlight green issues. It will end with the two artists meeting in Los Angeles to co-headline a concert at the Greek Theater with proceeds benefiting Griffith Park. 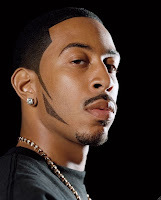 Ludacris' real name is Chris Bridges. The Greif Company, which produces A&E's "Gene Simmons Family Jewels," is behind "Battleground." The executive producer for "Battleground" is Leslie Greif and Adam Reed with co-executive producers Steve Jones, Howard Lee and Lisa Caruso. Eileen O'Neill is general manager of Planet Green.